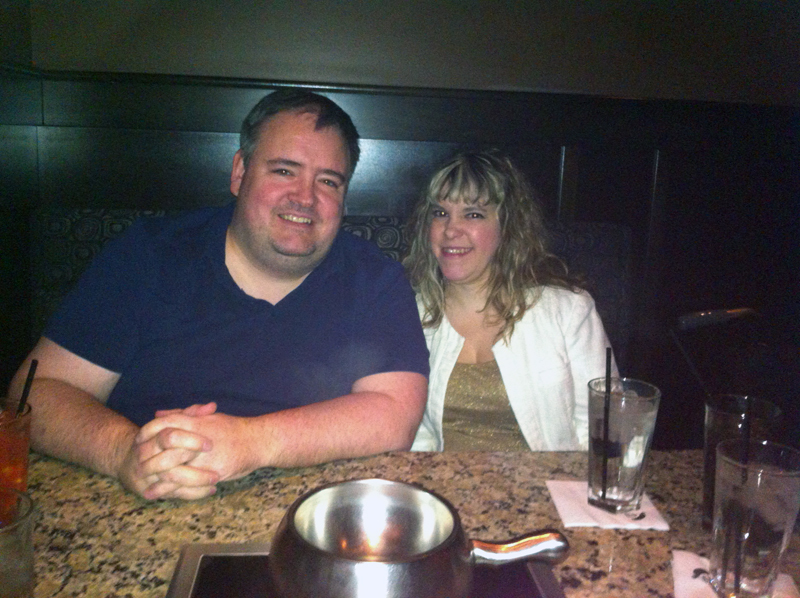 I turned 44 about an hour ago, and Sylvia and Sean and I celebrated at The Melting Pot on Edmonton's south side. We ordered the four-course meal, consisting of a very fine bacon/brie cheese fondue, superb salads, a Mojo-style meat fondue and a really decadent Flaming Turtle chocolate fondue for dessert. Frankly this was way too much food for three people, but every course was excellent, with very fine fresh ingredients. Every piece of fruit and vegetable was perfectly ripe and succulent, and the meats (a mix of various cuts of beef, pork, chicken and shrimp) were superior. 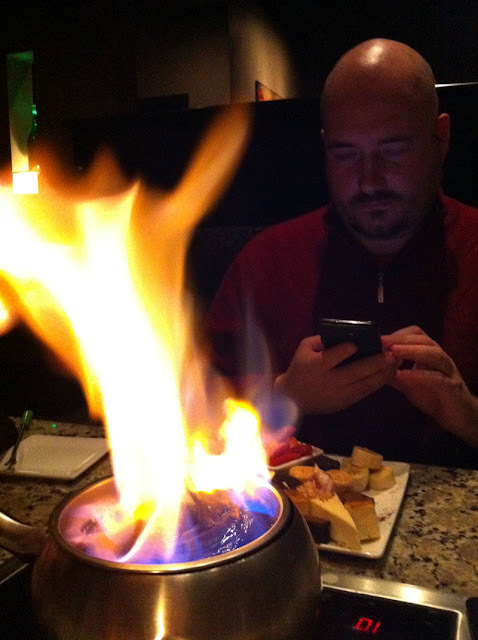 This was my first fondue experience, and I'd certainly come back again. A couple can expect to spend up to 100 bucks for a four-course meal at The Melting Pot, not including drinks and tip. I thought it was worth every penny. Our server was efficient and personable, and I love the cozy atmosphere. Tuck me away in a dark corner to eat and I'm a happy camper indeed.